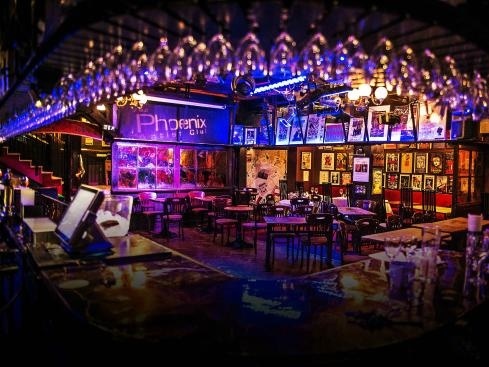 This week, we get the lowdown on The Phoenix Artist Club in Central London, for this week's Venue Spotlight. See full listings for The Phoenix Artist Club in London here. Tell us a little about the venue and yourself. 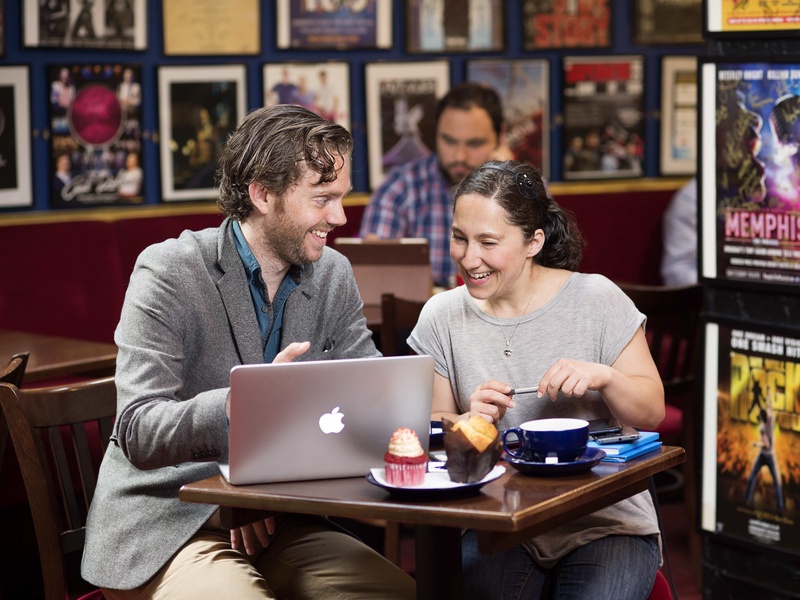 We're located in the heart of London's West End, in the original rehearsal rooms of the Phoenix Theatre. It can hold 200 people between two rooms. I'm the Marketing Director, in charge of the events programme, all high profile events, and any media enquiries. It's a great field to work in as no day is the same. It opened in 1988, offering the entertainment industry a quiet place for a drink. It's been entertaining entertainers ever since. The venue is always evolving. We primarily look after the entertainment industry, so staying on trend is important! We love to show off our history in and around the venue. 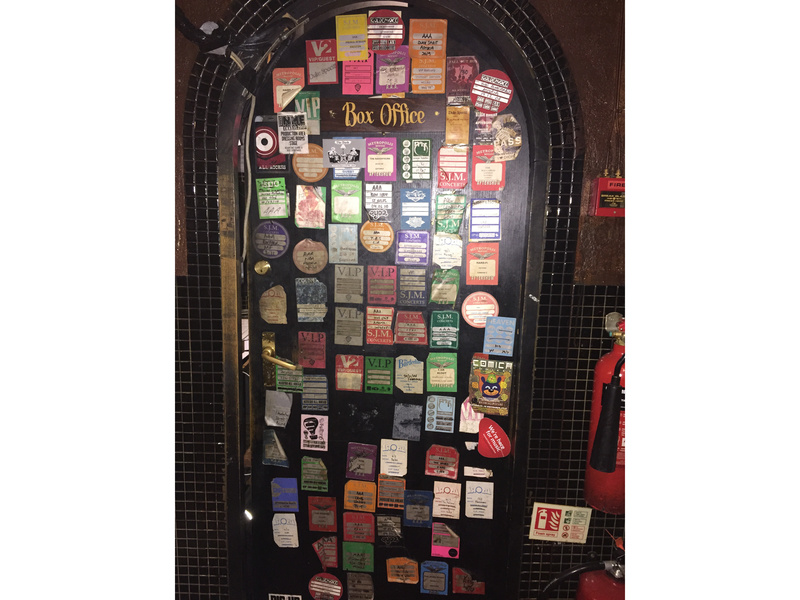 One notable feature is the door to the club's sound booth, which is filled with AAA passes from post show parties that were held at the club back when The Astoria was open. We've had everyone from Fall Out Boy to The Arctic Monkeys celebrate. Our brasserie, which serves British food with a French twist, has been our biggest development lately, which won us the title of 'Restaurant of the Year' (FSB Awards) this year. We've just fitted a snazzy new red carpet, repainted the club blue and gold, and added to our extensive range of signed and authenticated theatre memorabilia, which includes signed posters and props from over 100 years of theatre. Come check it out! We work with an amazing charity called Karousel, who champion artists through showcases and networking events, and run many events at the club. Over the years, we've welcomed an eclectic range of acts, from Ed Sheeran and Big Narstie to De La Soul. We host as many as 25 performances a week, from comedy to cabaret, spoken word to music. We regularly have the cast of the biggest musical theatre shows in town perform impromptu sets too, so you never know what or who you're going to bump into. We were crowned the 'Entertainment Club of the Year' in the 2015 Club Awards, so we must be doing something right. The club's famous sound booth door. Dom Pipkin and The Ikos are one of my favourite bands. We're privileged to have Dom perform at the club regularly. He's deeply inspired by New Orleans jazz, and his piano skills are out of this world. Yeah, a huge number of our bookings are still comedy bookings. We are also branching out more into theatre. Independent theatre has always had a home at The Wedge, however our bookings in recent years have shot up. There isn't enough support for small independent venues, and there's so much pressure to keep the doors open. Venues like The Phoenix Artist Club are a platform for emerging talent, and the live music industry, especially big brands and established record labels need to do more to ensure that venues are there to help nurture that talent. The big players know small venues are struggling, not just financially, but also from the pressures from (building) developers. They have the voice and reach to stand up and support these small venues. The Commitments at The Phoenix Artist Club. 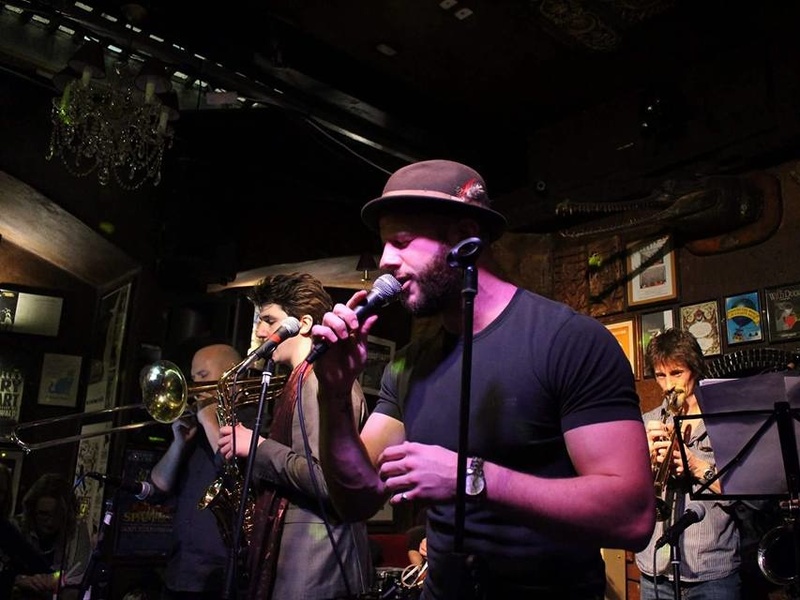 We're one of the last truly independent venues left in Central London, and thankfully we have a loyal clientele, many of which have been frequenting the club since its inception. We've established ourselves not just as an events space, but a bar, restaurant and late night venue too. We've avoided closure by utilising our space, and are now open from 10.30am 'til 2.30am, seven days a week. We earned the support of publications, such as Time Out, who awarded us the 'Best Club & Bar in Covent Garden & The Strand' last year. I'd encourage venues to enter into as many awards as possible, as it improves status, and business growth. My proudest moment so far was in July 2016 when I launched 'the hub', offering London's creatives broadcast quality wi-fi, power points and filter coffee all free of charge, with no sign up fees. It's open from 10am-5pm Monday-Friday, and came as the result of lots of friends who wanted to find a place other than a chain coffee shop to work. We teamed up with 'Baking Heroes' (The Independent), Galeta, offering a delicious selection of pastries and cakes, as well as speciality tea and coffee, at sensible London prices. It's a great feeling to be able to give something back to the creative community. The Hub at The Phoenix Artist Club. Last Sunday we had a great show called 'Miscast', which saw lots of musical theatre stars, as well as the winners of Britain's Got Talent, Collabro, swap male and female roles. There was an all female rendition of 'Empty Chairs at Empty Tables', from Les Mis, and the encores were endless. The Phoenix Artist Club is situated in the original rehearsal rooms of The Phoenix Theatre, where Noel Coward and Laurence Olivier rehearsed Private Lives in the 1930s. The club is still used for rehearsals to this day, but we have to be very discreet! Our most recent work was with the cast of Harry Potter and The Cursed Child, who rehearsed at the club for six weeks. We're a private members' club from 9pm, but you can gain access by presenting a valid theatre or cinema ticket on the door. Track The Phoenix Artist Club here to keep up to date with all forthcoming events.